Slowly but surely, 3D printers are getting cheaper, better, and drastically more accessible. In the early days, there were only a few models on the market, and most of them were clunky, tricky to use, and prohibitively expensive — but that’s no longer the case. Today, there are 3D printers available in every size, shape, and configuration you could ever want — and they’re getting more affordable with each passing month. 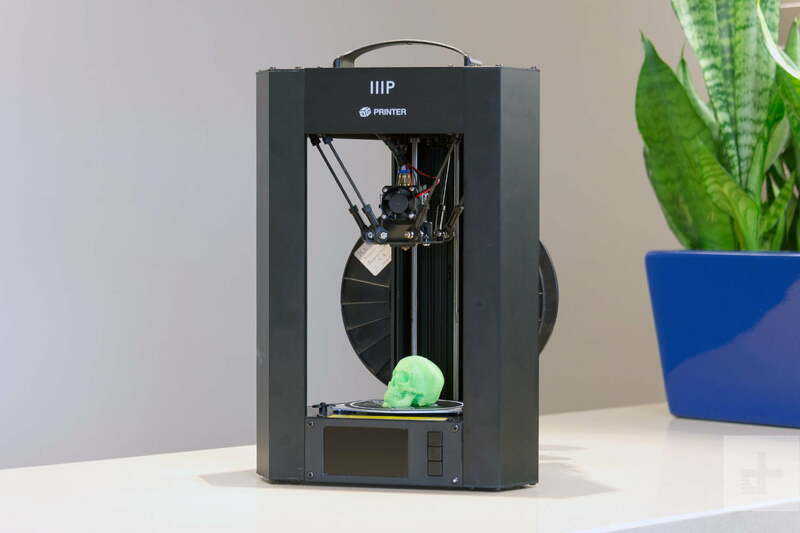 But with so many 3D printers on the market, finding a good one can be a daunting task. So to help you make the right decision, we put together this no-nonsense rundown of the best 3D printers available right now. Enjoy! Why you should buy it: It makes incredibly accurate parts and it’s a breeze to operate. The Form 2 is the most accurate 3D printer we’ve ever used, and it’s ridiculously easy to operate. Yes, it is very expensive, but using the Form 2 is like moving from an old tube TV to 4K UHD. The quality of its prints dwarf other printers on this list. At the end of the day, you wont find a consumer-level 3D printer that makes more detailed, dimensionally accurate, structurally robust models than this one does. But that’s not the only reason we picked it. It’s also far more user friendly than other printers in its class, and despite being extremely advanced, its interface is so simple that even beginners should have no trouble using it. It’s worth noting that the Form 2 isn’t cut from the same cloth as your average FDM printer. It’s a different breed entirely. Instead of heating up plastic filament and squirting it through a nozzle to build objects layer by layer, the Form 2 uses a laser projection system to “grow” objects out of a pool of UV-curable resin. As the laser flashes over the resin tray, it causes a thin layer to solidify on the build plate, which is slowly drawn upward as each new layer is made. Now to be clear, the Form 2 isn’t the only 3D printer that uses this method — but it’s definitely the easiest to use of the bunch. Formlabs stuffed it with a boatload of great features that make resin-based printing less of a hassle — like an auto-filling resin tray, and an ingenious print feature that makes objects easier to remove from the build plate. There’s even a web app that lets you check the status of your print when you’re nowhere near the machine. The Lulzbot Mini isn’t just a great starting point for newcomers — it’s also one of the most reliable printers we’ve ever used. Lulzbot does not take this lazy approach. Instead of stripping away advanced options, Lulzbot’s software lets you choose your level of complexity and control. There is a Basic interface for when you only need to adjust simple settings (temp, speed, layer height, etc), but also an Advanced tab that gives you more granular control over the printing parameters. This is great for beginners because it’s simple and straightforward when you’re still learning things, yet it also doesn’t prevent you from going deeper, increasing your knowledge, and getting more out of your 3D printer. In addition to its excellent UI, Lulzbot Mini is also one of the most reliable and consistent FDM printers that’s ever passed through DT’s testing room. Sure, it doesn’t have an enormous build envelope or create ridiculously high resolution prints, but virtually everything else about this printer is fantastic. It has a heated bed, a Hexagon hot end that allows you to print with tons of different materials, and self-leveling software that makes it a breeze to maintain. It’s also highly upgradable, so if you ever feel like tricking out your setup, you totally can. We really, really like this printer! Why you should buy it: Despite being dirt cheap, it has an auto-leveling heated bed, LCD screen, and variable temp hot end. As far as we can tell, Monoprice’s Mini Delta is one of the cheapest 3D printers you can buy that’s not a kit — but that’s not the only reason we picked it. In addition to being fully assembled and ready to print straight out of the box, this machine also comes with a heated bed — something that we believe is a crucial feature for FDM printers. This helps prevent warping and drastically reduces your potential for misprints — and it’s usually only found on printers that cost over $1,000. This one costs $200, which is kind of mind blowing. In addition to the heated bed, the Mini Delta also has a variable temperature hot end, which allows you to adjust settings and print with a wide range of different materials — including basic filaments like ABS and PLA, to more advanced materials like conductive PLA, wood and metal composites, or dissolvable PVA. On top of that, the heated bed is also self-leveling, which means you’ll never have to calibrate the machine manually before initiating a print. Monoprice certainly gives you a lot of bang for your buck here, but the Mini Delta definitely isn’t perfect. Novices should expect a fairly steep learning curve with this machine, and be prepared for some high-level troubleshooting that will likely be required when something inevitably goes wrong. Just because it’s cheap does not mean that it is a good for choice for beginners. Why you should buy it: Because it’s not just a 3D printer; it’s also a CNC router and laser cutter. ZMorph is an all-in-one fabrication station that lets you print, mill, and laser cut. 3D printing has come a long way in the past few years, and the number of filament options is now wider than ever — but even with so many printing material options, you’re bound to embark on a few projects where additive manufacturing just isn’t ideal. Sometimes you’ll find yourself wishing you had a CNC mill or a laser cutter — and for those situations, you’ll wish you had a ZMorph. You know those all-in-one printer/scanner/copier machines? ZMorph is basically the 3D version of that idea. 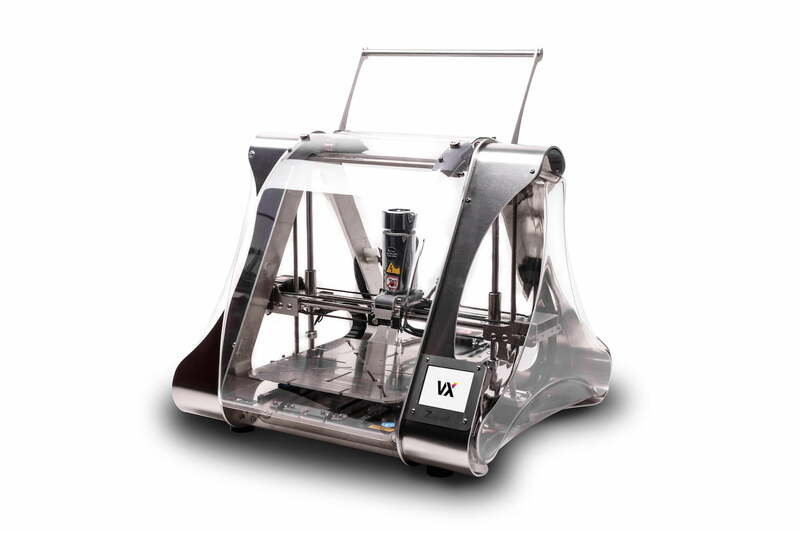 It’s a 3D printer, a CNC mill, and a laser cutter, all rolled into one. What that means is that in addition to the ability to print virtually any object in plastic, you’ll also be able to mill and laser cut things out of real wood, leather, glass, or even PCB laminate. This versatility is made possible by ZMorph’s interchangeable tool head system, which allows you to choose between a hot end/extruder for 3D printing, a laser diode for cutting, or a CNC toolhead for milling. These heads can be swapped out in a matter of minutes, and changing modes in the software only takes a few clicks of your mouse. So if you’re looking for a more capable fabrication station, ZMorph should definitely be on your list. Why you should buy it: It has all the important features you need in a filament-based 3D printer, and it sells for well under $500. Who it’s for: Anyone looking to get the most bang for their buck. Up until Monoprice vaulted into the 3D printing arena, it was really, really hard to find a sub-$1,000 printer that had a large build area, a heated bed, a stable frame, and an extruder that could handle lots of different materials. Near impossible, honestly. But now, there are plenty of options in this price range — and the MP Maker Select Plus is arguably the best of the bunch — unless you’re willing to get a kit and build the printer yourself. Most printers in the sub-$1,000 price range have build areas that are no larger than 6 inches in length/width/height — but the MSP boasts a spacious build envelope that’s 7.9 x 7.9 x 7.1 inches, which is nothing to scoff at. This means that not only can you print bigger parts — you can also fit more small parts on the build plate, which cuts down on production times. This build plate is also heated, which helps prevents the extruded filament from cooling, contracting, and warping the shape of your printed object. This feature is crucial (especially if you’re printing with ABS), drastically reduces your chances of getting a misprint, and eliminates the need to print with a raft, which uses up additional filament. The Prusa i3 MK2 is an excellent printer kit that comes with a gigantic user community to fall back on if you run into trouble building. 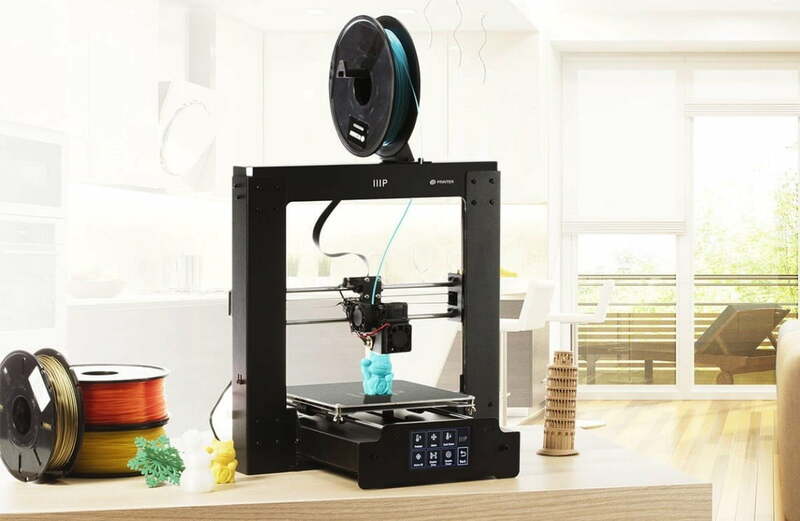 There are a lot of 3D printer kits out there, but none are as tried-and-true as the Prusa i3 MK2. Born out of the open-source RepRap project, the printer’s design was developed over years and years of testing, tuning, and perfecting from thousands of different 3D printing enthusiasts — so it’s a pretty solid little machine. In terms of standout specs and features, this guy boasts a spacious 9.84″ by 8.3″ by 8″ build envelope, a variable temp hot end that can handle a huge range of materials, and some awesome bed-leveling software that compensates for skewed axes. Basically, this means that even if you screw up the build somehow and it’s not perfectly aligned, it’ll still print reliably for you. 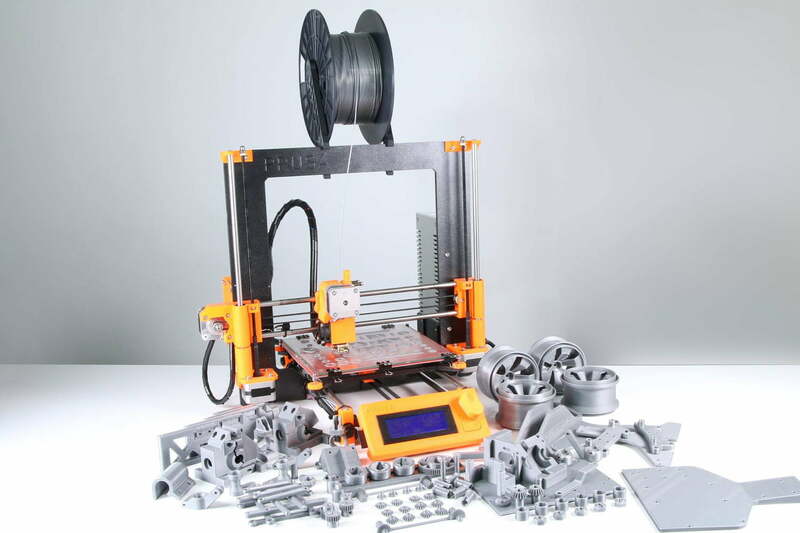 The Prusa i3’s biggest asset, however, is its massive user base. Because this has long been one of the most popular RepRap builds, there are more people using the i3 than nearly any other 3D printer — so if you ever run into a problem or need to ask a question, you’re practically guaranteed to find a solution on the i3’s many user forums. To test the various 3D printers we get in for review, we print a carefully-selected set of objects. This suite includes 3DBenchy, the ctrlV v3, a warp test, and a few others. Together, these objects have just about everything that printers generally struggle with: low-slope surfaces, overhangs, unsupported spans, fine details, and a bunch more. If a printer isn’t good at something, these shapes will highlight it. After that, we generally print at least half a dozen more objects just for good measure. These are usually pretty random (just stuff that DT staffers want/need printed here at the office), which helps us avoid becoming formulaic in our testing and ensure that printers are subjected to a wide range of different tasks before we assess them. When it’s all said and done, we grab a handful of our test prints and snap a few high-res pictures, so you can see for yourself how they turned out. We also measure certain parts of the print with a micrometer to see how accurate the physical model is in comparison to the digital one. But of course, resolution and accuracy aren’t everything. After we’re done printing stuff, we also assess the machine’s relative level of repairability and upgradability. Can it easily be taken apart and tinkered with if something goes wrong? Can you upgrade the printer’s components when newer, better ones become available? Will it be obsolete in a few years? We get under the hood and figure everything out for you. FDM: Filament Deposition Modeling. Also known as FFF or fused filament fabrication. It’s the most common style of 3D printing, and works by melting a thermoplastic filament, squirting it through a nozzle, and then depositing it layer by layer to form an object. SLA: Shorthand for stereolithography. It’s a style of 3D printing that uses a laser projection system to “grow” objects out of a pool of UV curable resin. Hot end: The heated nozzle that plastic filament is extruded through in a FDM printer. Heated bed: This refers to a build plate that is heated, which prevents the first few layers of extruded plastic from cooling and warping. If your project warps, it often leads to misprints. ABS: It stands for Acylonitrile Butadiene Styrene. An oil-based plastic that’s commonly used as 3D printing filament. It’s a strong, sturdy material that’s commonly used for constructing things such as plastic car parts, musical instruments, and the ever-popular Lego building blocks. ABS has a high melting point, and can experience warping if cooled while printing. Because of this, ABS objects must be printed on a heated surface, which is something many at-home printers do not have. PLA: Poly Lactic Acid is made from organic material — specifically corn starch and sugarcane. This makes the material easier and safer to use, while giving it a smoother and shinier appearance that’s more aesthetically pleasing. However, while PLA might seem like a better overall choice at first glance, it features a far lower melting point than ABS. This means that using PLA printed parts for mechanical operations, or even storing them in high-temperature locations, can result in the part warping, cracking, or melting.